Belgium’s counter-terrorism efforts are once again being called into question following the recent tragedies in Brussels. The attacks were carried out against soft targets – the public check-in area of Brussels Airport and Maelbeek metro station – but a series of unusual and suspicious occurrences were also reported at nuclear facilities in the country. Occurring a week before a major international summit on nuclear security, these events highlight the very real threat to nuclear facilities. For Belgium, this recent episode is one item on a long list of security concerns. The US repeatedly has voiced concerns about Belgium’s nuclear security arrangements since 2003. That year, Nizar Trabelsi, a Tunisian national and former professional footballer, planned to bomb the Belgian Kleine-Brogel airbase under the aegis of Al-Qaeda. The airbase, which holds US nuclear weapons, has seen multiple incursions by anti-nuclear activists who have gained access to the site’s “protected area”, which surrounds hardened weapons storage bunkers. Yet, Belgium only started using armed guards at its nuclear facilities weeks before the March 2016 attacks. Beyond incursions, so-called “insider threats” have also cost Belgium dearly. The nation’s nuclear industry comprises two ageing power stations first commissioned in the 1970s (Doel and Tihange), and two research facilities, a research reactor facility in Mol, and a radioisotope production facility in Fleurus. In 2014, an unidentified worker sabotaged a turbine at the Doel nuclear power station by draining its coolant. The plant had to be partially shut down, at a loss of €40 million per month. Based on this history, the Belgian authorities should be primed to take nuclear security especially seriously. But there are serious questions about whether they are. [IS] is believed to have taken possession of radiological materials, including 40kg of uranium compounds in Iraq. This suggests a possible interest in fabricating a radiological dispersal device – or “dirty bomb” – that would spread dangerous radioactive materials over a wide area. It had been assumed that IS was concentrating this activity in the Middle East. But that all changed in late 2015. A senior nuclear worker at the Mol research facility was found to have been placed under “hostile surveillance” by individuals linked to the Islamic State-sanctioned attacks in Paris. Reports suggested that the terrorist cell may have planned to blackmail or co-opt the worker to gain access to either the facility or radiological materials. Alongside the 2014 Doel sabotage incident, this raises the spectre of an “insider threat”. A worker could use their access, authority and knowledge to sabotage a nuclear plant or remove material for malicious purposes. This concern is furthered by reports of a worker at the Doel plant, who was associated with the radical Salafist organisation Sharia4Belgium, joining Al-Qaeda-inspired militants in Syria in late 2012. Following his death in Syria, the Belgian nuclear regulator reported that “several people have … been refused access to a nuclear facility or removed from nuclear sites because they showed signs of extremism”. 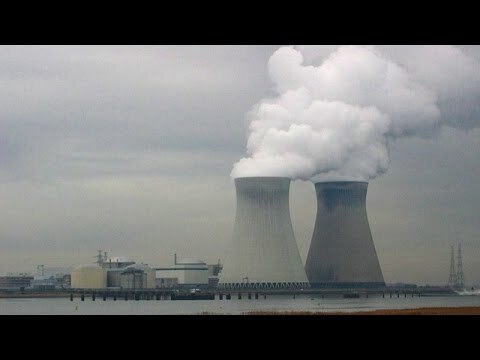 And in the wake of the Brussels attacks, the authorities have temporarily revoked the security clearances of 11 nuclear workers at Tihange nuclear plant. Meanwhile, the fourth and final meeting in a series of international nuclear security summits is taking place in Washington. This brings together high-level decision makers, including heads of state, to try to improve the international nuclear security regime (which has been described as “a rather messy and complicated affair”). While strict processes are in place to prevent the proliferation of nuclear weapons, there are far fewer shared rules on securing nuclear facilities and materials. This summit has aimed to address this imbalance. The first summit was held in 2010, after US president Barack Obama described nuclear terrorism as the “most immediate and extreme threat” to global security. So far, the summits have seen significant successes. They have led to the removal of highly enriched uranium from 14 jurisdictions and upgrades to security at 32 material storage facilities. Equipment to detect nuclear materials has also been installed at 328 international borders. But no further summits are planned after the 2016 meeting and no mechanism has been identified to replace the summit process. That means the future progress of nuclear security is uncertain. And as can be seen in Belgium, the threat remains as real as ever.